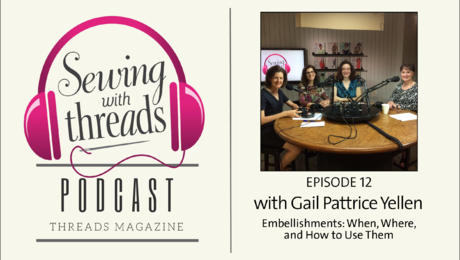 Episode 12: Gail Patrice Yellen talks about her embellishing techniques, using fusible interfacing, and sewing over pins. 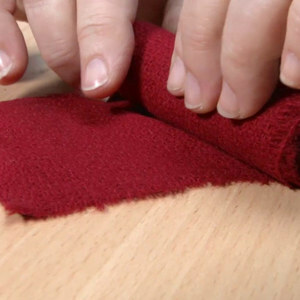 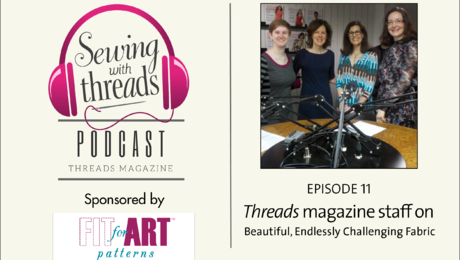 Episode 11: Threads editors discuss favorite and challenging fabrics, storing textiles, and how they understitch facings. 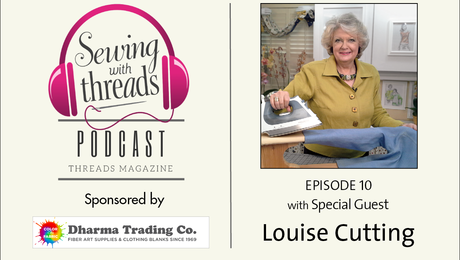 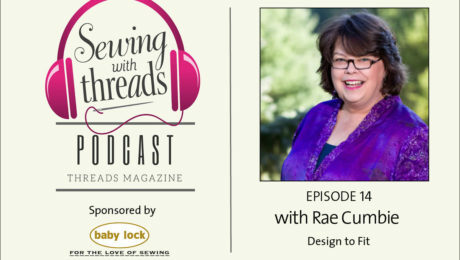 Episode 10: Pattern designer, teacher, and Threads Contributing Editor Louise Cutting talks about her pattern line, precision sewing, and fitting. 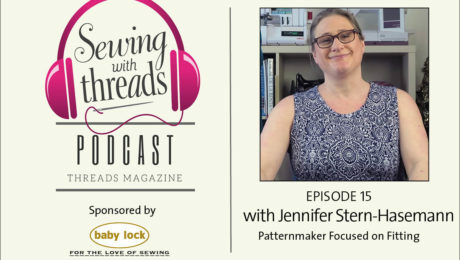 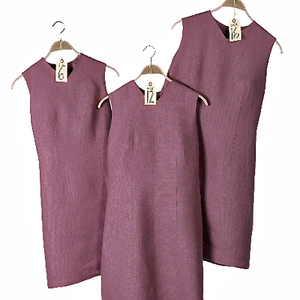 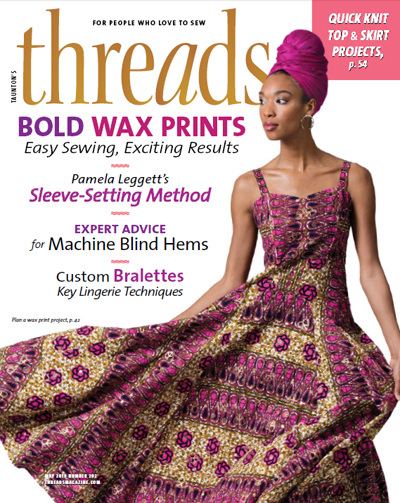 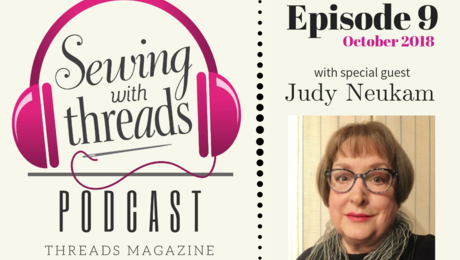 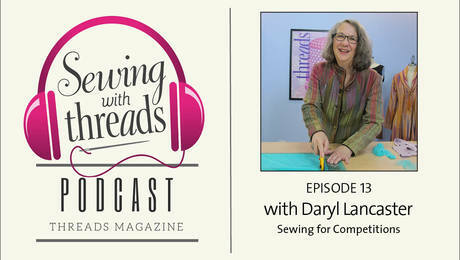 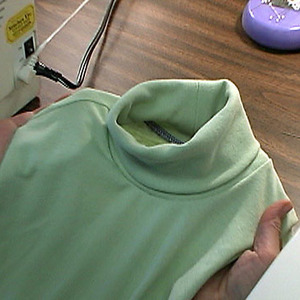 Episode 9: Contributing Editor Judy Neukam talks about finding and writing about vintage garment details for two recurring sections in Threads, the Back Cover and How Did They Sew That? 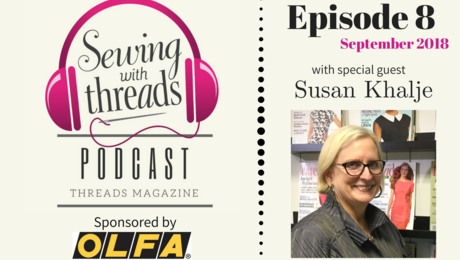 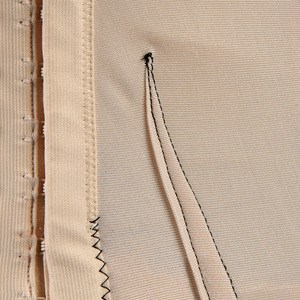 Episode 8: Couture sewing expert and Contributing Editor Susan Khalje shares her insights on sewing for weddings, taking sewing shortcuts, and whether to pretreat fabrics. 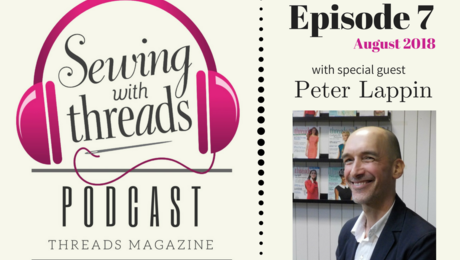 Episode 7: Sewing blogger and Threads Digital Ambassador Peter Lappin discusses vintage patterns and vintage sewing machines. 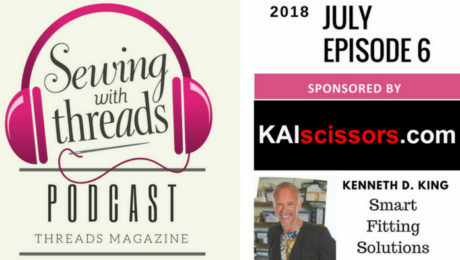 Episode 6: Threads Contributing Editor Kenneth D. King talks about his new fitting book and fashion icons who have inspired him.